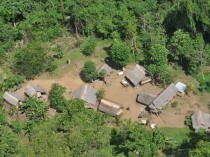 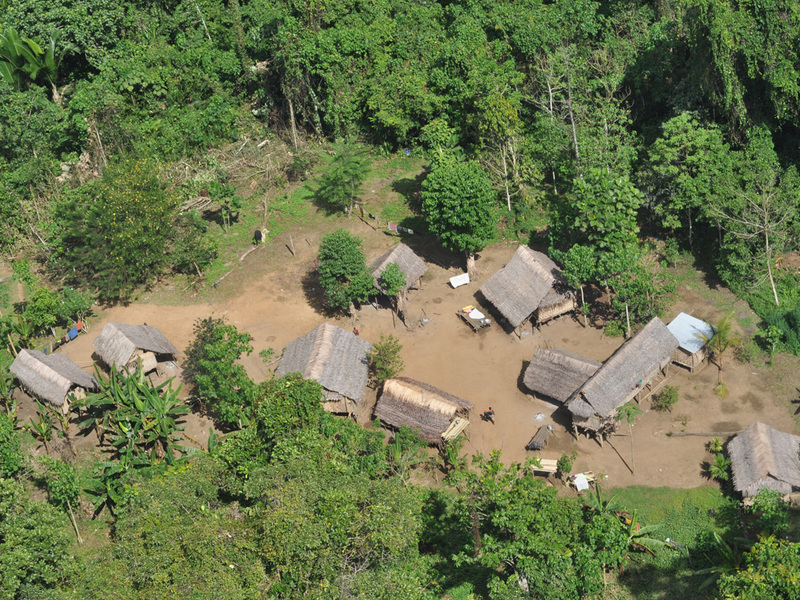 Wanang village from the air. 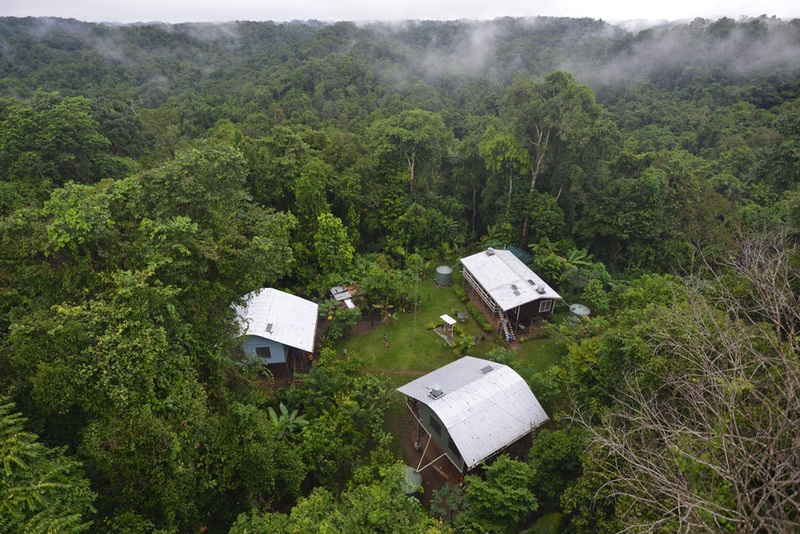 Swire Research Station from the air (photo M. Leponce). 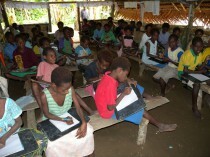 Students in the Wanang Elementary are missing desks but not enthusiasm. 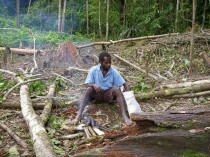 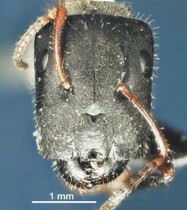 John Auga visibly tired from the study of too many insects in the Wanang rainforest. 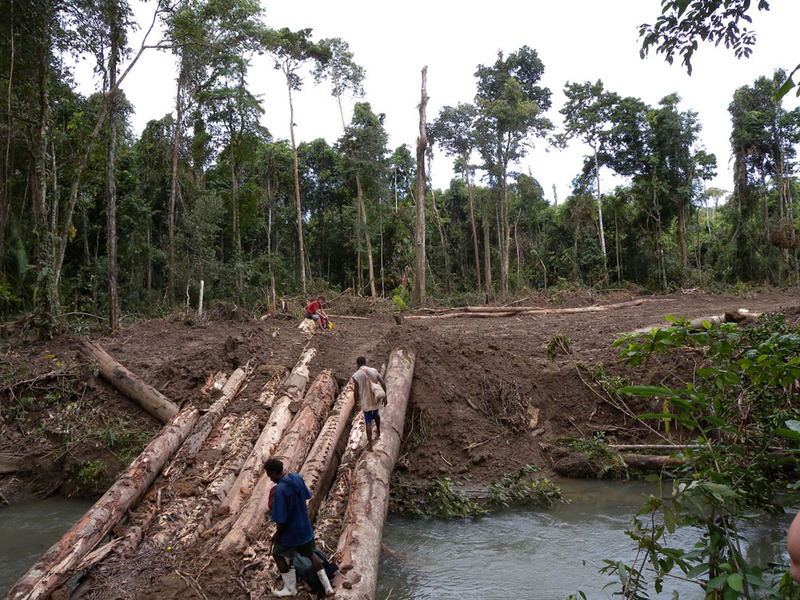 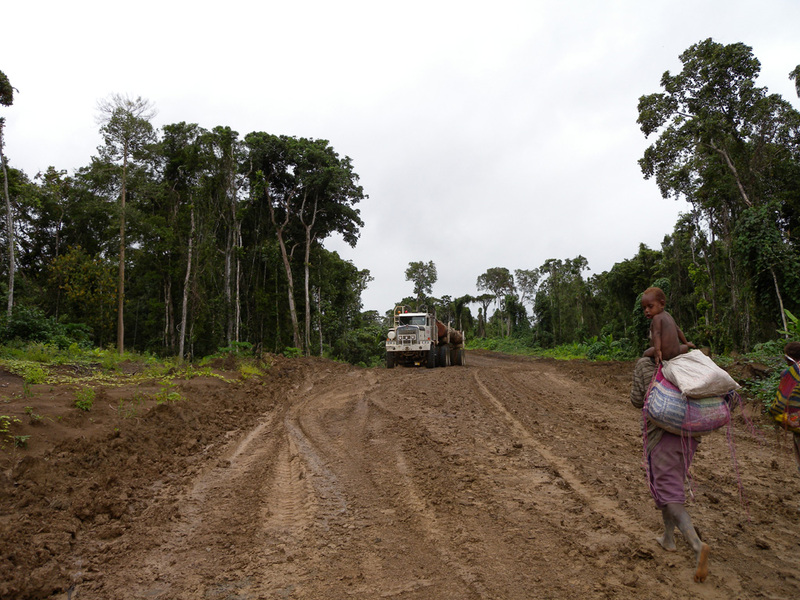 A “bridge” on the road to Wanang. 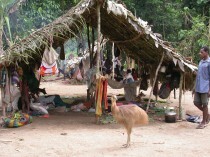 A village siesta scene with a pet cassowary chick. 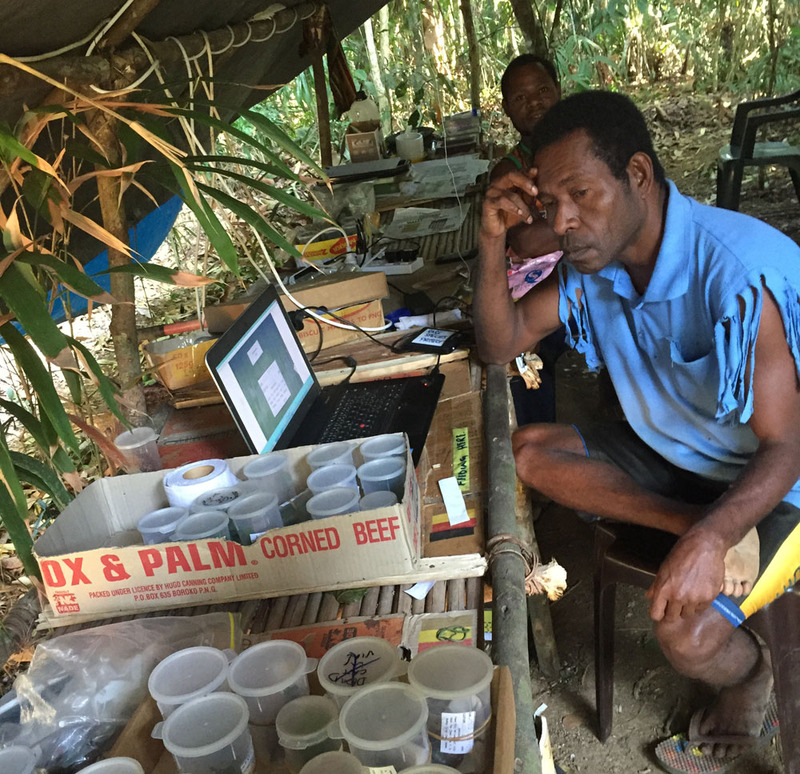 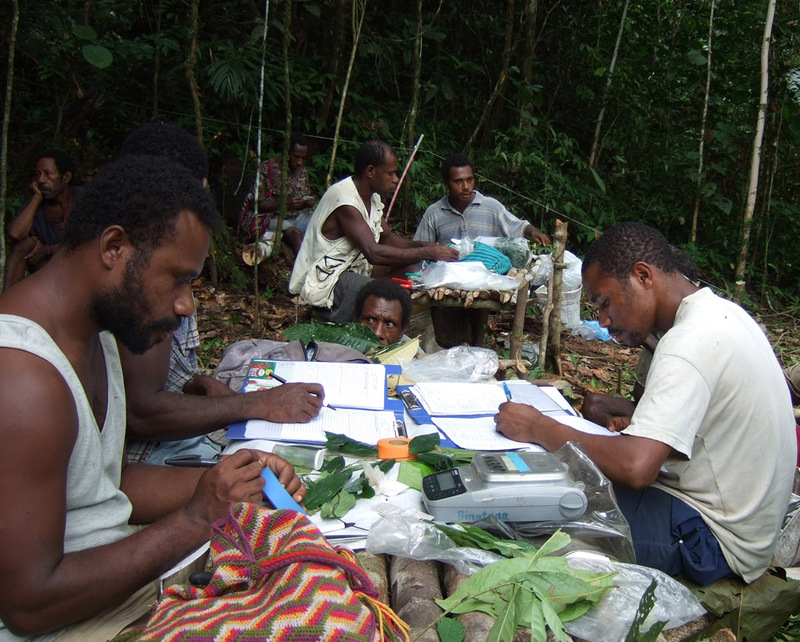 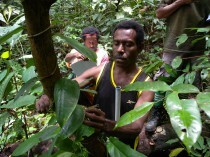 Office in the forest: processing botanical samples in Wanang. 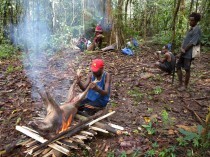 A quick snack in the forest. 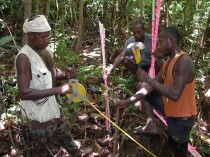 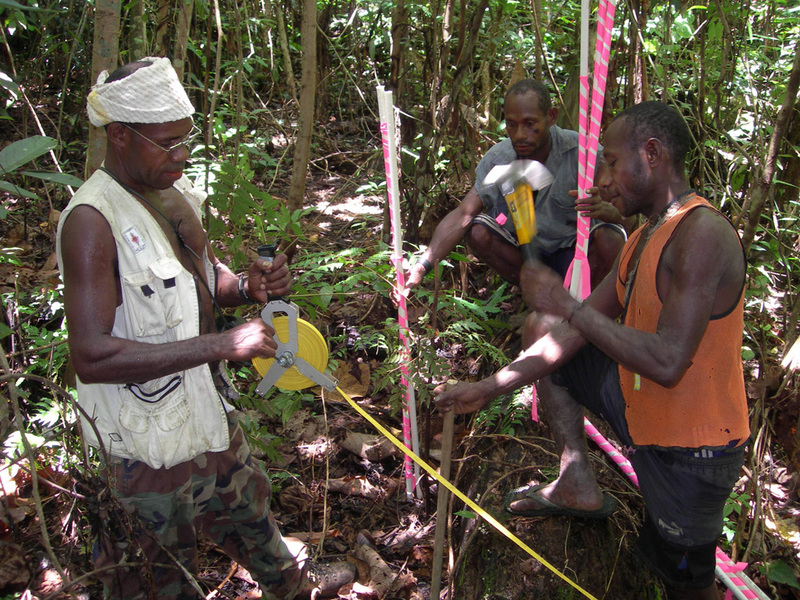 Botanical team mapping trees in the Wanang Forest Dynamic Plot. 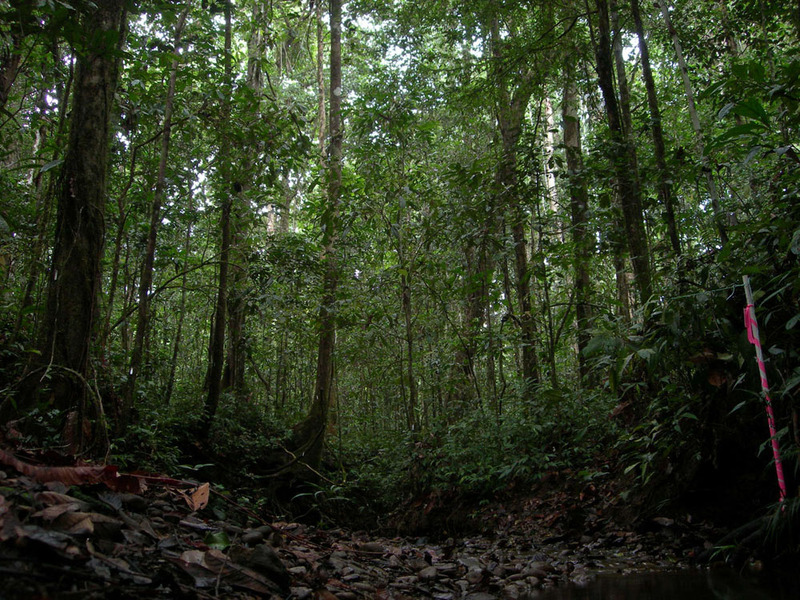 Wanang rainforest (Photo M. Leponce) Leponce.jpg Luda Paul redies a light traps used to sample insects in the Wanang forest (Photo M Leponce). 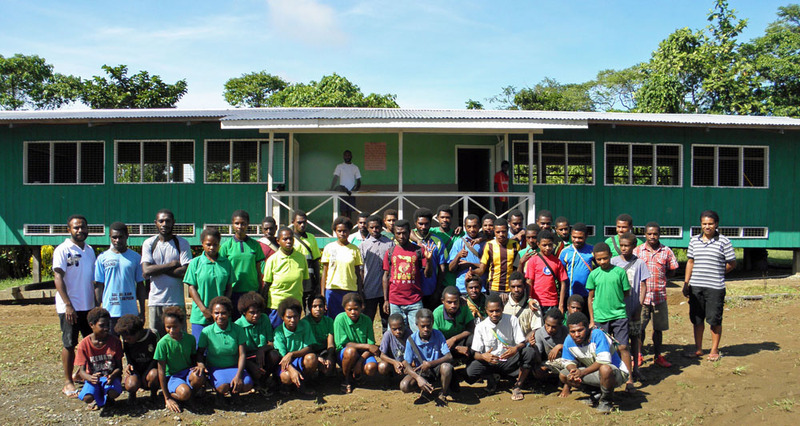 Students in front of their newly built classroom at the Wanang Primary School. 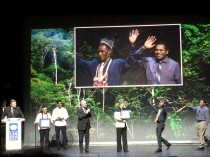 Filip Damen (Wanang Conservation) and Pagi Toko (BRC) receiving the UNDP Equator Prize 2015 in Paris for “innovative conservation” in Wanang. 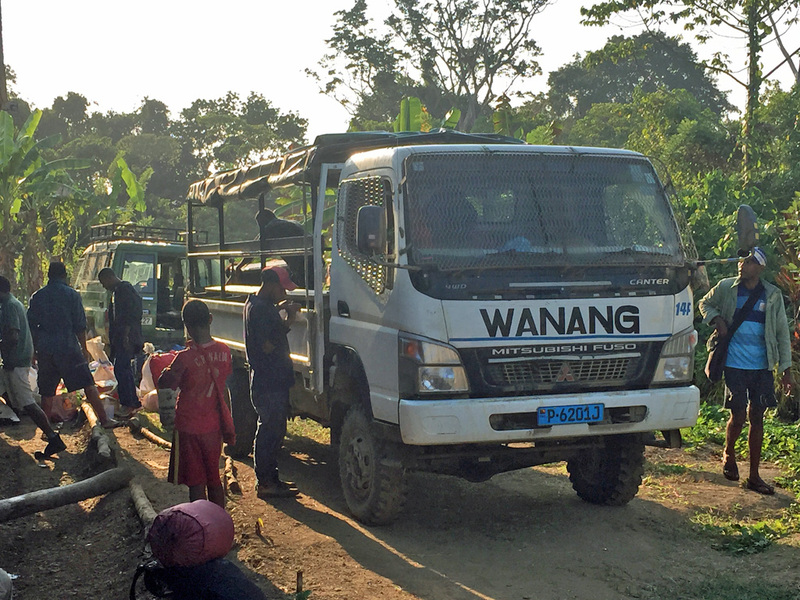 All roads lead to Wanang. 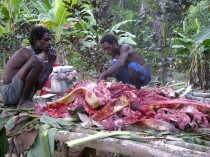 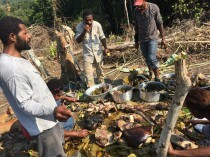 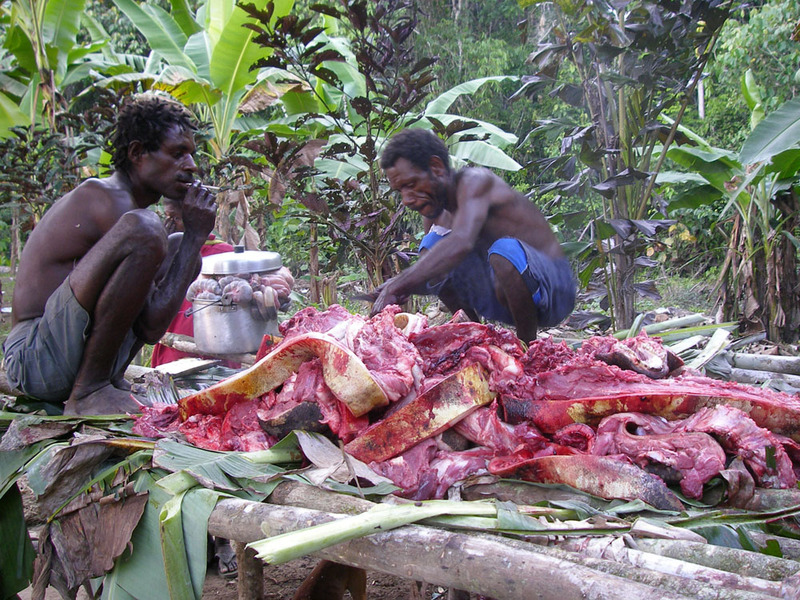 Mumu – traditional way of food preparation when meat is wrapped with vegetables and sweet potatoes in banana leaves and cooked underground on heated stones. 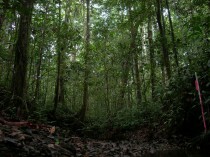 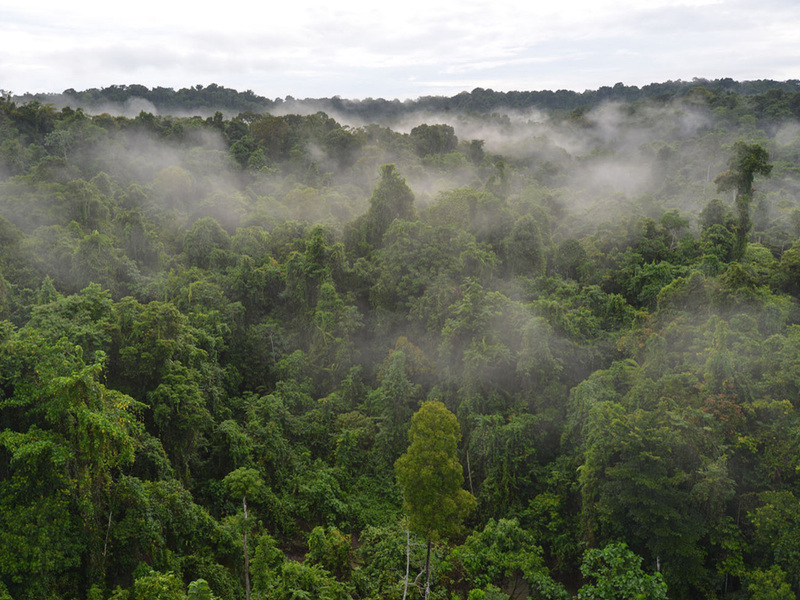 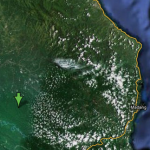 Mapping 288,000 trees in the forest dynamic plot. 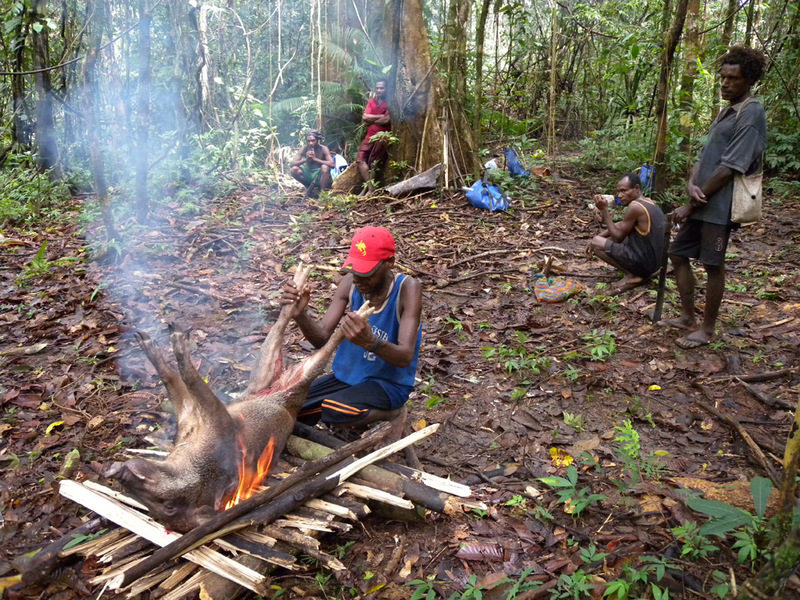 Do you like your pork chops rare or well done? 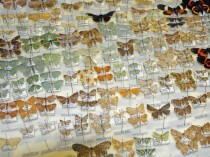 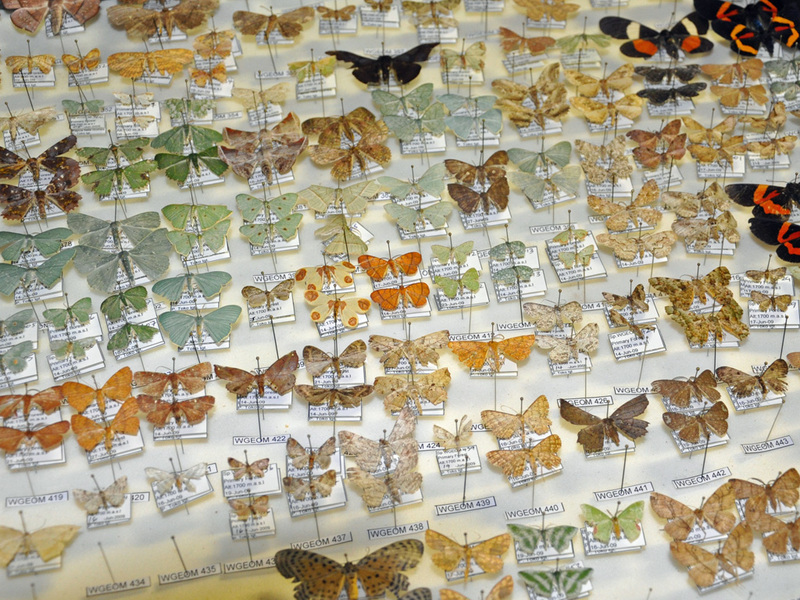 Moths reared from caterpillars feeding on Wanang rainforest trees. 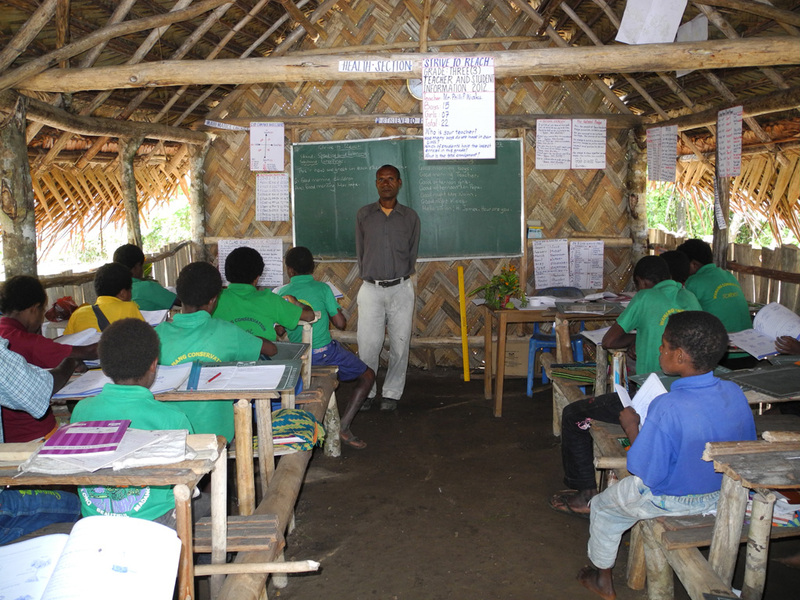 A lesson in the Wanang Primary School. 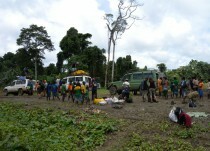 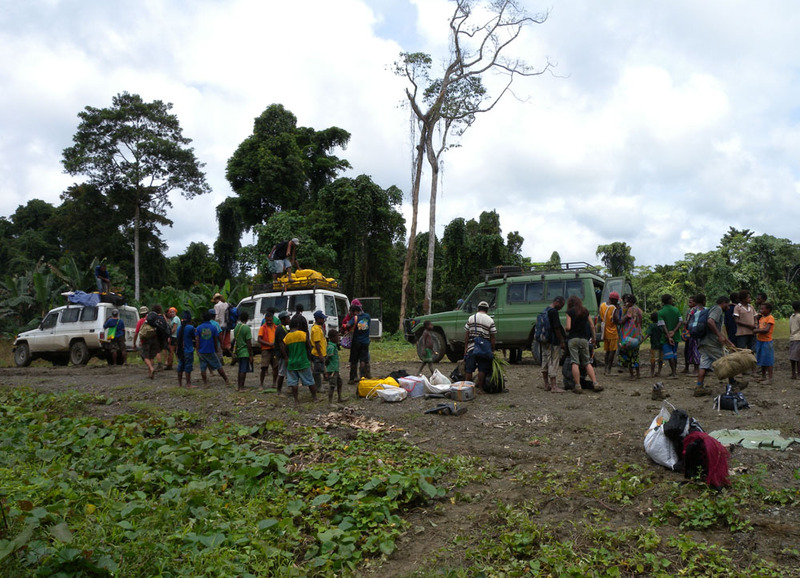 Village truck serving as a connection with Madang town, its markets and shops. 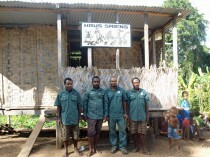 Wanang team of expert biologists in front of Haus Saiens (L to R): Dominic Rinan (plants), Jonah Filip (insects), Byron Siki (plants), Mark Mulau (birds). 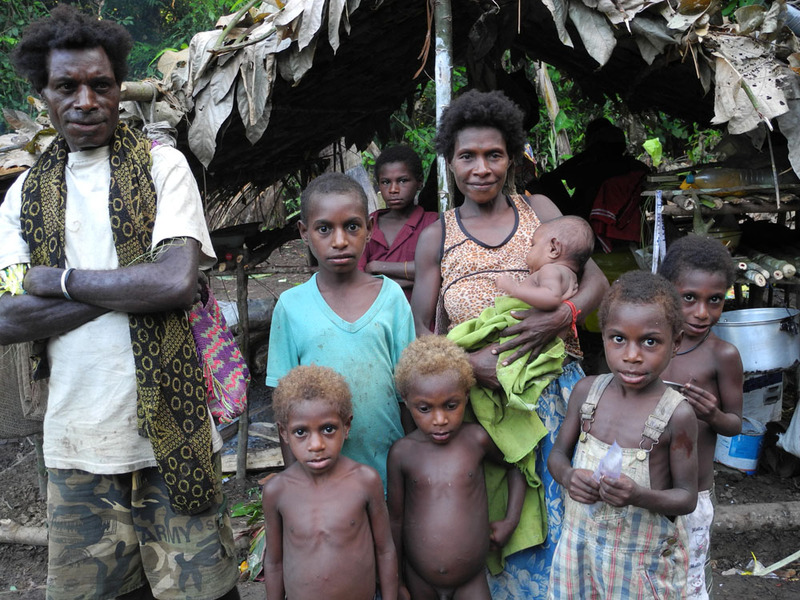 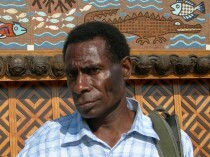 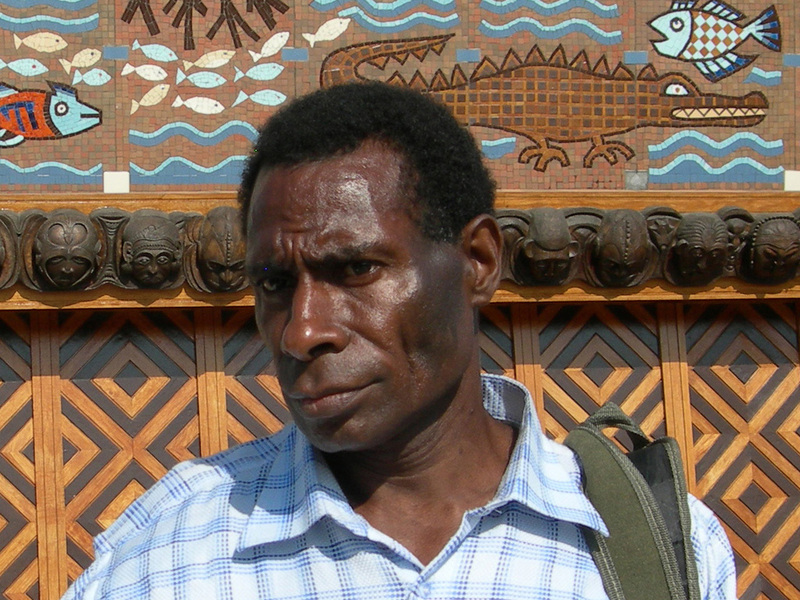 Filip Damen, the leader of Wanang conservation, in from of the PNG Parliament in Port Moresby. Wanang ornithological team (L to R): Mark Mulau, Krystof Chmel, Luda Paul. 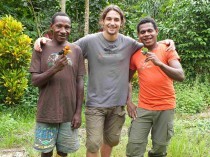 A lunch on a freshly cut food garden that will be planted with food crops. 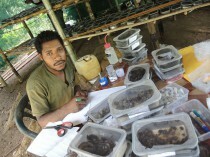 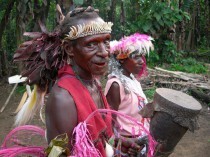 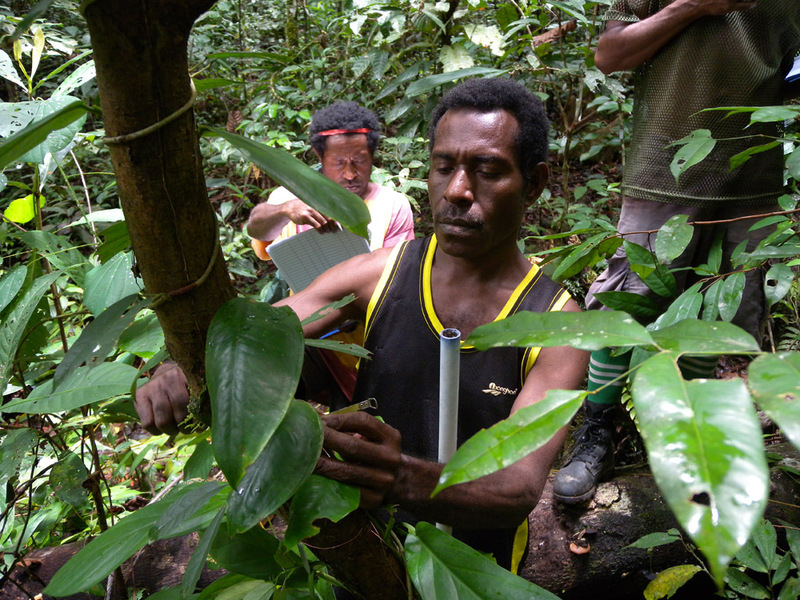 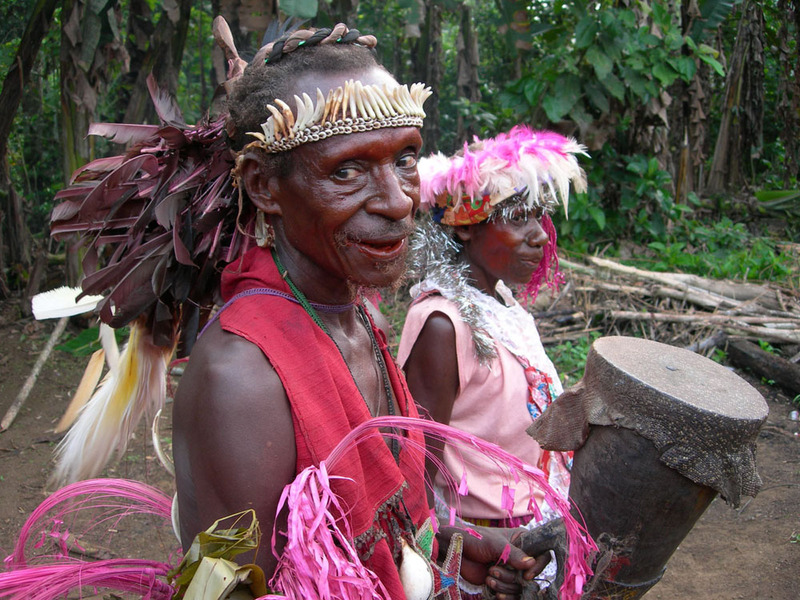 Ruma Umari, Wanang specialist on insects, is rearing insect pests from the fruits of rainforest trees.